SFC Daniel H. Petithory, 32, was a Communications Sergeant assigned to ODA 574, Company A, 3rd Battalion, 5th Special Forces Group (Airborne). 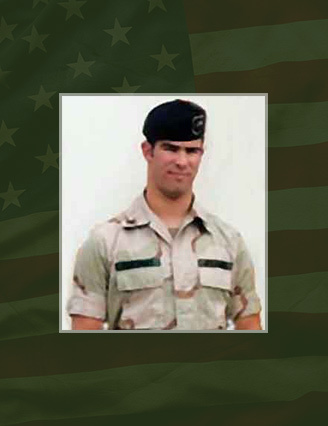 He was killed in action during Operation Enduring Freedom. Dan was born in Massachusetts on June 30, 1969. He graduated from Hoosac Valley High School in Massachusetts in 1987. After enlisting as a Military Policeman in September 1987, he served a tour at Fort McClellan, Alabama. After completion of the Special Forces Qualification Course Dan was assigned to the 5th Special Forces Group (Airborne), Fort Campbell, Kentucky in 1992. While there Dan served as a Communications Sergeant on both ODA 572 and ODA 574. During his tenure of military service, Dan participated in contingency operations in Kuwait, Haiti, Africa and throughout Southwest Asia. His awards and decorations include two Army Commendation Medals, one Army Achievement Medal, the United Nations Medal, the Kuwaiti Liberation Medal, the Southwest Asia Service Medal, the Armed Forces Expeditionary Medal, Special Forces Tab, Expert Infantrymen’s Badge, Air Assault Badge and the Senior Parachutist Badge. He is survived by his parents, Louis and Barbara Petithory; a brother, Michael and a sister, Nicole.